The murder of a Jordanian pilot by the Islamic State will redouble efforts to “eradicate the evil” of the group, said British Foreign Secretary Philip Hammond. His statement comes as the UK urged New Zealand to join the US-led coalition. 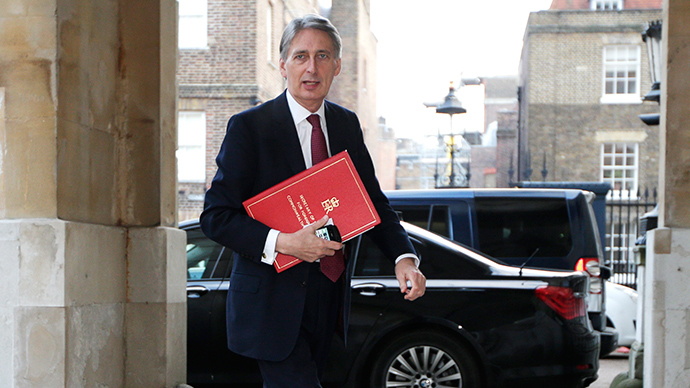 Hammond joined a number of international figures in condemning the brutal murder of Lieutenant Muath al-Kasaesbeh at the hands of the Islamic State (IS, formerly ISIS/ISIL), who burned the captive pilot alive in a cage. Footage of the murder was published online. “I am appalled and saddened by the sadistic murder of Muath al-Kasaesbeh,” said Hammond in a statement. “I extend my deepest sympathy to his family and friends and the people of Jordan as they mourn their loss. The pilot, aged 26, was captured by the Islamic State when his plane went down near the Islamist stronghold of Raqqa, Syria, in December. Al-Kasaesbeh was participating in US-led airstrikes against the militant group. Experts, including SITE Intelligence Group, have suggested the pilot may have been killed last month. The latest video comes three days after Japanese journalist Kenji Goto was beheaded by IS militants. Hammond has meanwhile urged New Zealand to join the US-led coalition, of which Jordan is a member, to aid the fight against the militants. New Zealand has been asked to contribute 100 defense personnel to a joint training mission in Iraq with Australia. Prime Minister John Key said New Zealand would consider a non-combat training role, but no troop deployment to Iraq. “I pay tribute to the dedication and bravery of Lieutenant Moaz al Kasasbeh, who as a member of the Jordanian Armed Forces serving in the anti-ISIL Coalition, paid with his life while protecting his country and us all,” he said in a statement released by Downing Street. Echoing Hammond’s sentiments, Cameron said the group’s “brutal behavior will only strengthen our resolve,” adding the UK “stands in solidarity with our Jordanian friends” and Coalition allies. “Together we are making progress. In the last week, ISIL has been thrown out of Kobani. “The Iraqi Armed Forces, with Coalition support, are steadily re-taking territory in Northern Iraq, freeing many thousands from ISIL's utter cruelty. We will not stop until these evil extremists and their poisonous ideology are defeated,” Cameron added. Michael Haines, brother of David Haines, the British IS hostage who was murdered last year, said: “My heart is filled with sadness yet again to hear of the savage murder of another hostage by the terrorists. “Firstly, my thoughts and prayers go out to the family of Moaz al Kasasbeh, I know only too well the feelings of loss, anger and disbelief they must be experiencing right now. I share their pain. “The murder of Moaz al Kasasbeh once more shows the unmerciful nature of these criminals. In revenge for the murder of al-Kasaesbeh, Jordan has executed Sajida al-Rishawi, an Iraqi female suicide bomber, and another prisoner, Ziad al-Karbouli. Al-Rishawi was jailed in 2005 and placed on death row for her role in a triple hotel bombing by Al-Qaeda in the Jordanian capital Amman in which 60 people were killed.